I’m typically a fan of Bandai Namco. They’ve put out some games of fun properties, such as Naruto, the Tales games, One Piece, Soulcaliber, Tekken and even more obscure stuff like Jojo’s Bizarre Adventure, Armored Core and even Project X Zone. Their roster of games is too huge to mention them all, but the point I’m getting at is they have put out a lot of interesting games. The one genre I have never associated them with is that of the MOBA. 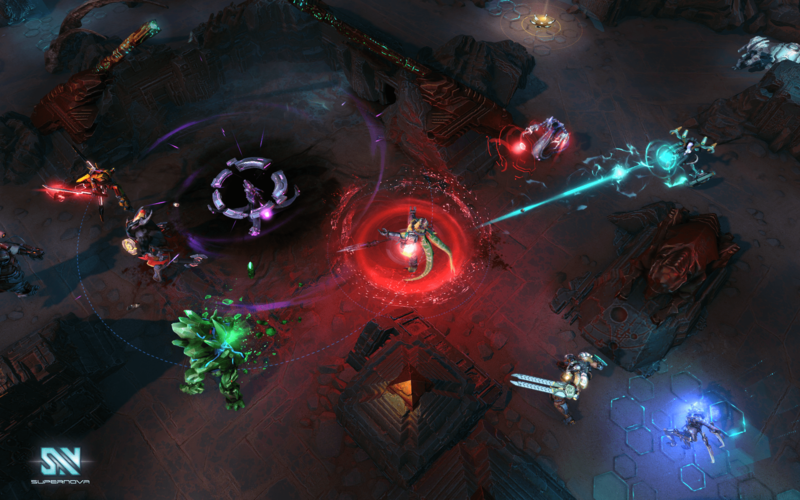 Hence, when I was asked to demo their new MOBA Supernova at Prime, I was very curious, and had to say yes. We don’t normally cover that genre here at oprainfall, but I made an exception for a company as well known as Bandai Namco. 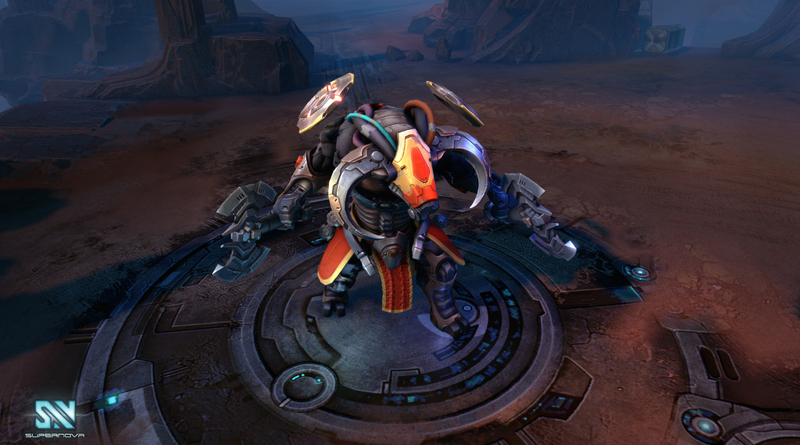 What did I think of this new MOBA giant? First, let’s discuss the positives. Supernova is a big, beautiful looking game. It’s well rendered, has good VA and is both complex and approachable for fans of the genre. Despite my relative inexperience, I was also able to jump in and figure things out relatively quickly, though I was given some helpful pointers. I started out by picking my commander from a huge roster of choices, and I picked one in a giant green mech for the human faction. Once you enter the field of battle, you have a decision – try the hands off approach or control and micromanage. I picked the former, since I really didn’t know what I was doing with any degree of fluency. 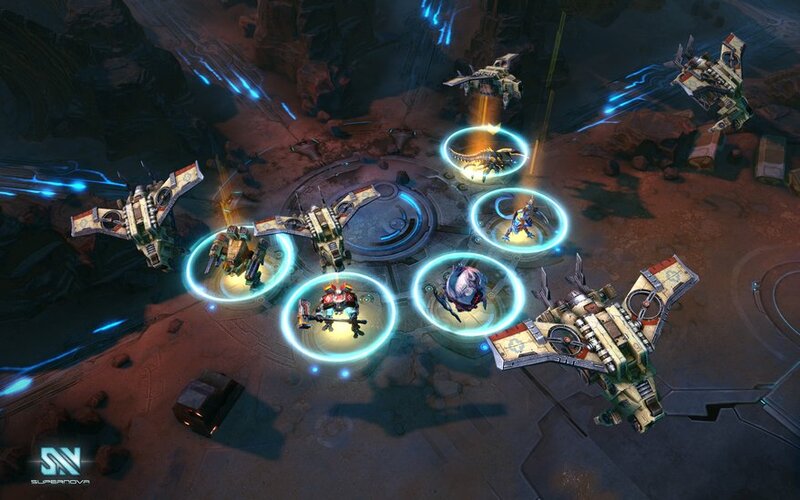 Luckily, the game has an autopilot that smartly chooses which units are produced every round, and bases the decision off of the current circumstances. Meanwhile, as commander my job was to stay alive, while also helping my team conquer the enemy towers. When you defeat an enemy commander or tower, you get points, and the most points is the goal of the game. While I was more than capable of running out and shooting things, that quickly proved disastrous, since enemy units tend to focus their fire on commanders. However, you don’t want to stay benched either, since there are some great commander specific abilities that can change the tide of battle. Of course, it stands to reason these abilities vary depending on the species and specific commander, and my human commander had some great stuff. 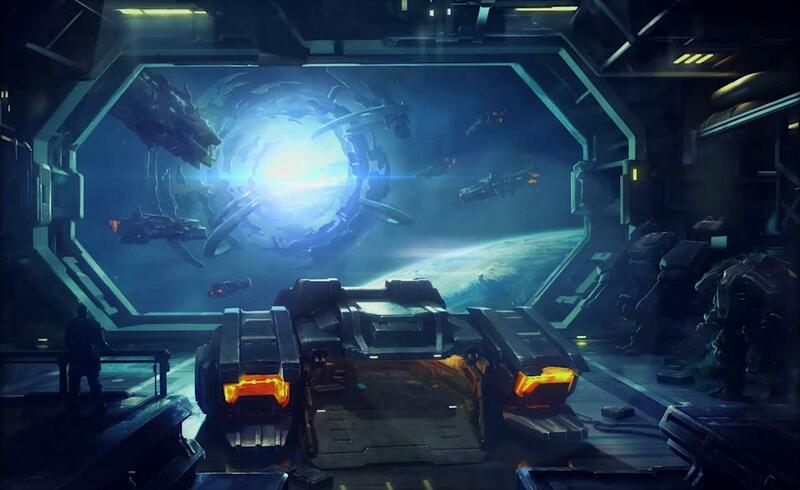 He could throw out a temporary shield to protect units, summon a orbital laser to cut through foes close by and even hurl a beacon that would light up hidden enemies for a period of time. By far my favorite ability was his Cloudburst, which summoned an aerial drone which hovered in a fixed position while firing upon any enemies nearby. This could cut the enemy forces down in seconds, and really let me make some great plays. The thing to remember is there is a cool down period for each skill, so it’s up to the player to decide the smart time to deploy them. Overall, I was pretty pleased with Supernova. It may not have fully converted me to the MOBA genre, but it did help me see some of the better aspects of it. The game is hosting a Beta right now, so you can log on and set up an account. If you’re interested in a Beta key, follow me on Twitter @SpeerofD3stiny, as I’ll be handing out keys this week.